The BRIDGE, a new land art project which involves the planting of trees creating a thousand little and big land art forests all over the world. 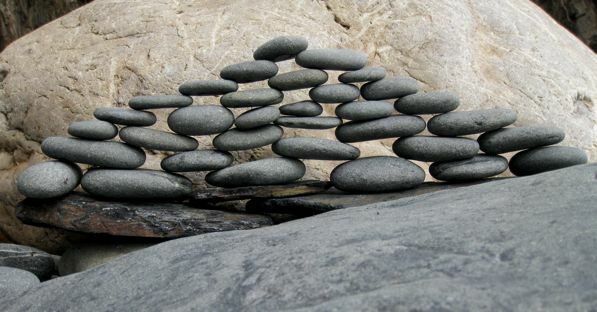 An ambitious project that can happen with the help of many people becoming land artists in their own environments. It all started when i went to Rhôd where artists talked about future, nature, culture. A question which has been on my mind for a very long time is: ‘How can culture become nature for the future?’. The land art project Vagdavercustis gave me an answer: work with trees. 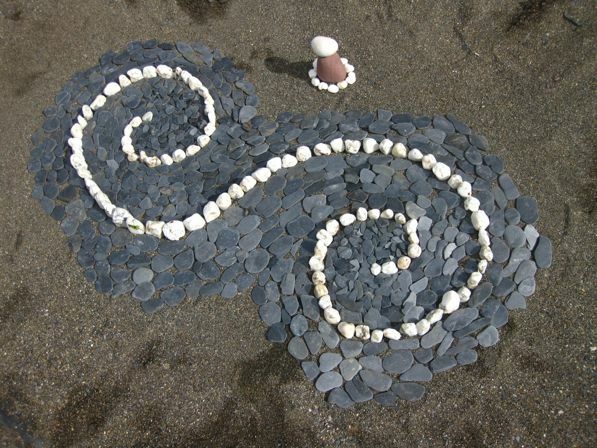 This project taught me many lessons and i want to share them so there will be many land art forests all over the world. The idea is not art in the forest, but the forest, the trees, being the art. You can plant the trees in certain patterns on the bare land, creating art with nature for the future. A good idea, yet there are many perhaps and maybes. Here comes my knowledge and the learnings from Vagdavercustis useful. As with everything it will cost ‘money’ yet it will pay itself back in a very different way. When Joseph Beuys created the 7,000 OAKS art project he made everybody an artist and the piece went further than just seven thousand Oaks. Whilst throwing 7000 basalt steles in front of the main location of the 1982 “documenta” in Kassel he took an entire city with all politicians and citizens as hostage; this ugly pile of grey stone was such a thread that the first thousand oaks were sold in no time. Beuys had the power and will to force society – or culture, so to say – into doing something valuable for the environment. A great idea and you can find all these oaks, each one together with its rock, al over the city. However i am not Joseph Beuys and will have to work dam hard to get this kind of power he had at the end of his life. So i almost gave up, a well a good idea. 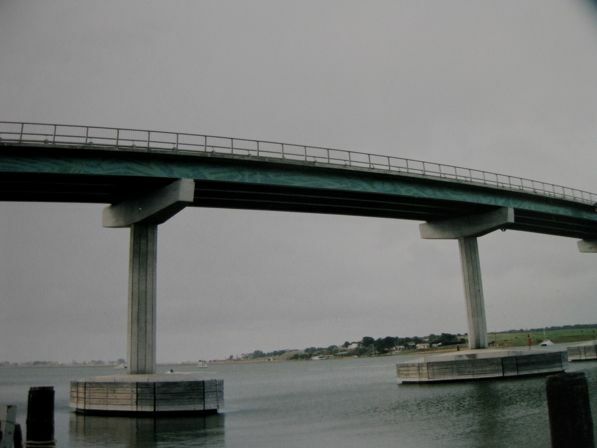 The above photo is the Hindmarsh Island Bridge and you can read the story about a very controverse building on wikipedia. So last night i lay in bed to watch the Moon travel by, thinking about how to help and how all them good people with all them very good ideas never get a chance, people are so unfair to the people of the land. My mind went to the time i visited the people of Camp Coorong , the Ngarrindjeri people, the disaster about the building of the bridge and how they solved it in the end by buying a boat to get to their sacred land on Hindmarsh Island.The Ngarrindjeri people didn’t gave up, didn’t have much funding, but continue to care for their beautiful land. 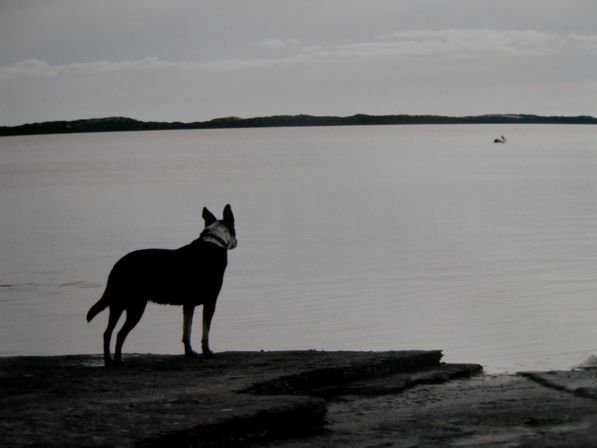 The Coorong with a watchful dog looking at the far away Pelican. How many people do feel just like me, being frustrated and angry and have given up stopping bridges to be build to develop more and more land for human usage. So my mind went to “mindfullness thinking” in the now – the future nor the past – but now. How can i plant trees now? I thought about somebody who just grew trees in the backyard and every spring he went with trees on the back of the bicycle to plant them in neglected areas or cleared areas in forests. We all could do so: direct action, for nature, creating art. We can plant them in patterns, we all can link together like a bridge creating a world wide bridge from culture to culture, a bridge from culture to nature. 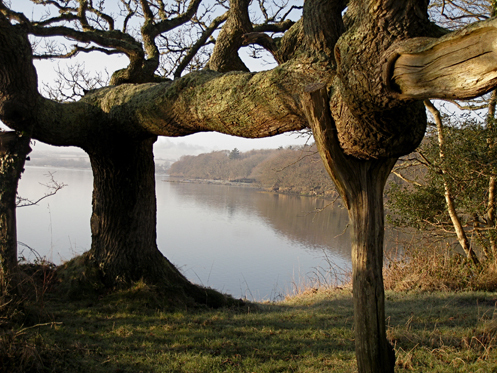 All these pieces of land art, tree art, forest art would have their own stories of their environment and their creator. Nobody needs to be an expert; me and others could give advice how to plant the trees, when to plant them and how to choose a good spot. A website could be created with photos of all them pieces of art, all those bridges. The website would show how to grow trees from seed or from cuttings even in a backyard or where to buy bare root trees. And how to look after them the first 2 years when they are adjusting to the environment. Yesterday i made this bridge on the beach and when i walked back i came across an area perfect for some BRIDGE planting. I have 2 self seeded little baby trees in the garden who are not in the best spot; I will take them out in autumn put them in pots and plant them again in the spring. A small stone bridge will come between them, like the above one, that made my heart smile and it made me sleep like a Rose. So was the land art project BRIDGE born. I might spend some time to create a website and to start the ball rolling – ready for next spring planting. For the big land art forest, that i have in mind i need more time and i was still not so sure about it. Than the newsletter from Ecotricity, my power supplier, came in with an article about their new project: “Green Britain Foundation”. I will get in touch with them and talk about my ideas to get another ball rolling. I need a good land owner who would like to give a piece of land for the planting of a land art forest and the rest will come with it. This is just an early step, a seed has been planted, it will take time to grow.